The Gilbert-McEachern team is made up of a dedicated group of professionals who provide expertise in every facet of our business. "As the owner I have the vision to set the goals for the rest of the staff and drive the focus of sales to deliver quality service to our loyal customers"
Mal McEachern joined the Gilbert McEachern Electric team in 1979 with no formal training as he learned new skills from then owner Jack Gilbert. Over the years he learned the repair business and in 1982 was given a great opportunity to become the owner of Gilbert-McEachern Electric. Mal oversees the coordination of sales and services and strives for fair value and quality service to create the utmost customer satisfaction. 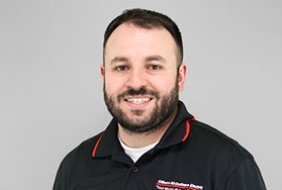 "It is crucial to maintain good quality workmanship and fair pricing for both the company and the customers"
Brad Stevenson joined the Gilbert-McEachern Electric team in July of 2010 as the Service Manager. He brings a background of manufacturing, maintenance and purchasing, as well as general machine repair. 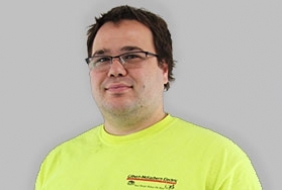 Brad believes that customer satisfaction is the most important goal Gilbert-McEachern Electric can achieve. Good quality workmanship, on time delivery and fair pricing is what Brad strives for when managing the Service Department. "I want to keep learning as much as I can on a daily basis. It’s important to enjoy what you are doing"
Rob joined the Gilbert-McEachern Electric team in February 2005. Rob has a background as an electric and mechanical technician, as he was previously employed by GE Appliances and Ed-Etech Industries. Rob is very talented in several trades which is a huge asset. His responsibilities are machining, welding, diagnosing of motors electrical & mechanical failures and assembly of the final repaired product. Rob loves a challenging repair. Steve Harri joined the Gilbert team in 2015. As a shipper/receiver he handles a range of incoming and outgoing materials. From products needing repair to new products to be stocked, Steve makes sure everything gets where it needs to be. Once repairs are completed or stock is ordered Steve ensures the product reaches its destination. Steve has a background working in shipping and receiving. Prior to joining our team, he worked at a car parts shop in a similar position. 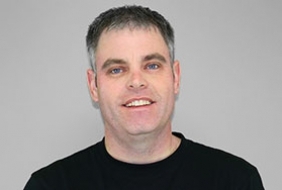 "My job is to make the experience of the customer more rewarding and to purchase the products they require"
Bob Rutherford graduated from Conestoga College with a background in electric motor rewind and repair. Soon after, in 1988, he joined the Gilbert-McEachern Electric team. He started out repairing motors and over the years moved into pump sales and repair. 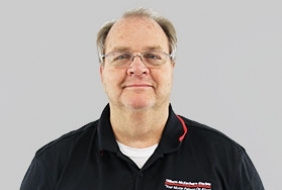 Bob strives to grow the company by better serving the customers with knowledge and technical data to meet their needs. 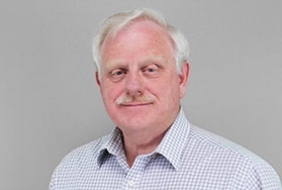 Bob is part of the management team and is head of technical sales of pumps and motors. "I believe that through hard work and team work Gilbert-McEachern Electric will continue to be successful for years to come"
Laura Kitchen joined the Gilbert-McEachern Electric team in August 2008 and strives to be the best employee she can. Over the years Laura has learned the ins and outs of the trade and has become a valuable team member. Laura ships and receives all Gilbert-McEachern products and also assists the Customer Service Department through phone management and various administration duties. 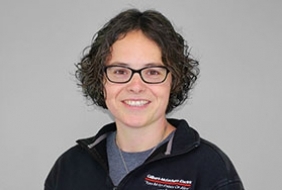 "At Gilbert McEachern Electric we are a small family and we work efficiently with each other to strive for the goal of making our customers happy"
Linda joined the Gilbert McEachern Electric team in October 1999. She has a bookkeeping and retail background and continually is updating her skills with seminars offered for financial management. 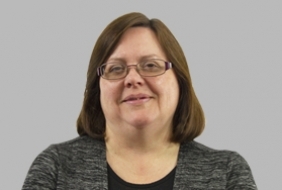 Linda is responsible for all of the accounting duties including invoicing, payroll receivables and payables, as well as monthly company reports and analysis. She also assists with procedures and policies within different departments and creates reports to help find ways to better position Gilbert McEachern Electric financially. Linda strives to be well organized and to work as efficiently as possible. What is most important to Linda is to be dedicated to both the business and the customers. Matt Farkas is a jack of all trades who joined our team in 2016 as a technician and millwright. Matt is an expert in his field after ten years of experience and an apprenticeship at Fanshaw College. Matt does a little bit of everything at Gilbert-McEachern Electric, repairing fans, pumps, blowers and more. In his spare time Matt likes to work on cars, tractors and anything else he can do repair work on. "The most important part of my job is giving the customer what they want, solving their problems and exceeding their expectations to give the best customer satisfaction possible"
Troy Faria became part of the Gilbert-McEachern Electric team in December 2005. Troy learned everything he knows today from Gilbert-McEachern Electric and is now a valuable member of the team. 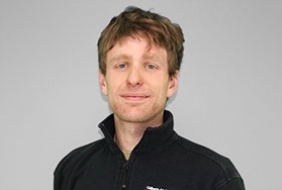 Troy also gained knowledge through several training sessions with Sprecher and Schuh Control Products and in-house experience with motor controls. Troy is responsible to the customer, making sure the customer gets what is required, when required. He can most often be found at the front counter, answering general sales calls and assisting customers with their inquiries. 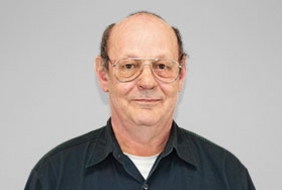 "It is important to help the customer to the best of our abilities and provide them the utmost customer satisfaction"
Reg joined the Gilbert-McEachern Electric team in May 2005. He previously worked in three other shops over 20 years, gaining invaluable skill sets and knowledge before joining our staff. Reg's primary responsibilities are to repair and rewind electric motors. He also is versatile in troubleshooting electrical and motor redesign. Reg strives for a quality repair in an efficient and timely manner. "If you put time and energy into the work, you will deliver the highest quality to the customer. 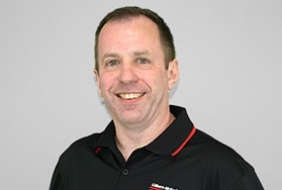 I believe in getting things done right the first time"
Joining the GME team in 2016, Mike Winter is one of our pump and motor repair specialists. He has extensive experience, working for twenty-six years in his specialty. 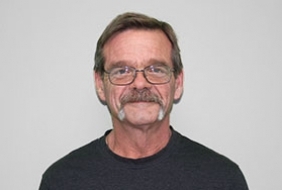 While Mike works mainly in pump and motor repair he is also a certified/ticketed millwright and automotive repair specialist. Gilbert-McEachern Electric is thrilled to have Mike on our team. Though Brock has worked on and off at Gilbert-McEachern his whole life, he officially joined our team in 2016. Brock attended Conestoga College and is now a certified electrician. Benchwork, technical diagnostics and repairs are just a few of the things Brock does at Gilbert McEachern Electric. 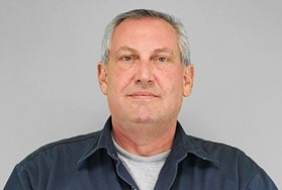 His eight-year experience with controls and electrical installations makes him a valuable member of the GME team. If he’s not at work, you will probably find Brock at the arena where he coaches hockey.